In a major victory brought upon by serious activism and public outrage, new legislation changes will shut down the Monsanto Protection Act rider that granted Monsanto protection from legal action and was set to renew on September 30th. This unprecedented move shows the true power of the anti-GMO, anti-Monsanto movement, and how elected officials are now being forced to side with the concerned population over the money-spewing Monsanto. 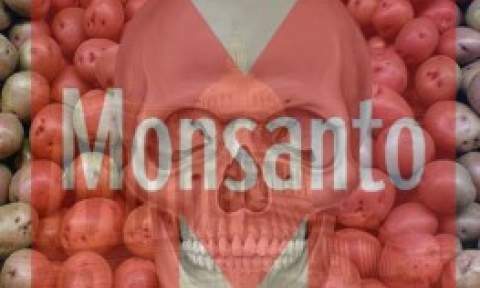 After all, it was Monsanto who purchased its way into the initial Senate spending bill legislation via a rider dubbed the ‘Monsanto Protection Act’ through Senator Roy Blunt. Officially labeled the Farmer Assurance Provision under Sec. 735 of the Senate Continuing Resolution spending bill, Senator Blunt was conveniently given over $64,000 by Monsanto before he handed the biotech corporation the ability to write its own legislation for the Monsanto Protection Act. And as I told you back in March here on the frontlines of anti-GMO activism, the financial payload dished out by Monsanto was enough to secure a major victory for corporations over both the public and even the federal government. It was last March that Obama signed the initial Senate spending bill into law, subsequently bringing the Monsanto Protection Act rider into legal validity as well. But the rider only extended until September 30th of this year, and it was up to Monsanto to pull another slippery legislative trick out of their sleeves in order to pass a Monsanto Protection Act 2.0 renewal. Once again, however, Monsanto executives underestimated the power of the alternative news community and the intelligence of those who do not want to eat contaminated food. “That provision will be gone,” said Sen. Mark Pryor (D-Ark.) told Politico. There is even discussion of how the Monsanto Protection Act came to exist in the first place, and more importantly how we can hold the politicians responsible. “Short-term appropriations bills are not an excuse for Congress to grandfather in bad policy,” said Colin O’Neil, director of government affairs for the Center for Food Safety. Once again, we have achieved a major victory in the fight against Monsanto and GMOs at large. As information on the subject continues to spread like intellectual wildfire, Monsanto’s days as a food supply hog consistently dwindle.